Regency Charmer, great working with all the great Talent on this production, a simple shot takes a lot longer than it looks. Just finding the perfect Smoking Jacket took hours, but I was lucky to have the RSC costume hire dept just up the River. Advertising photography is about producing images that are suitable for the medium and communicate. Keeping calm and patient is a requirement as is this man. 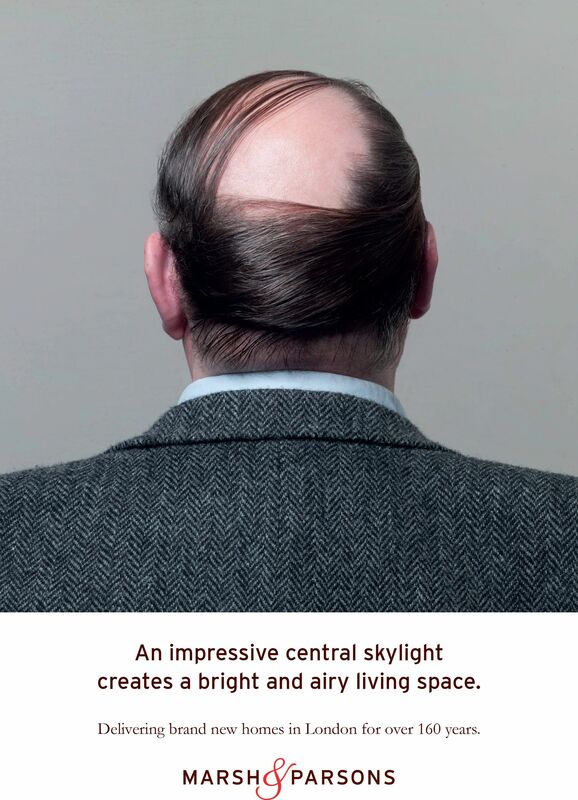 This image won the Association of Photographers -Advertising photography -single - Best in Category 2017. Advertising photography is like fishing, lots of preparation, enduring difficult conditions and having the right kit for the job, including all weather gear & specialist equipment. A camera is only a small part of the requirements. In 2017 the advertising campaign is now in its third series and still photographed in Stratford on Avon . 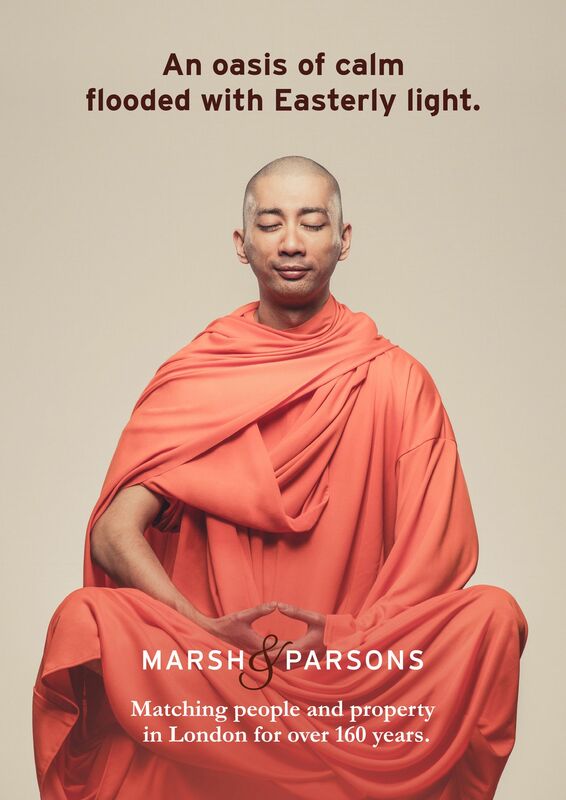 Client - Marsh & Parsons, London -Estate Agents - Selected for the AoP Open 2017. Beautiful Private Garden-A simple portrait of a beautiful model for the client Marsh & Parsons in a fashion style was complicated by her lack of tatoos ,but a great team of stylist and makeup artist created an arm of flowers. Father and son on their Beef Farm in Eire-Advertising campaign for Merial - copy relates to how each generation uses product. 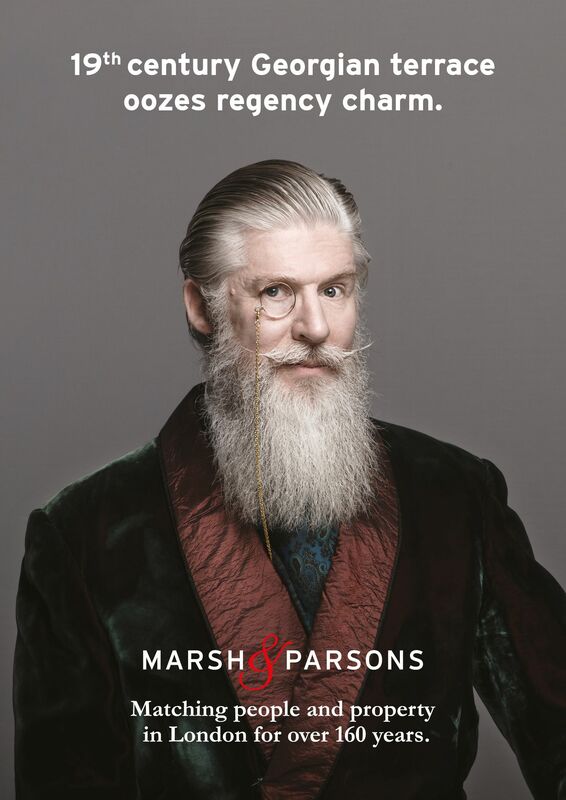 One of my favourite images from the Marsh & Parsons London Estate Agents 2017 campaign ,I wanted to find a more mature bearded man and eventually found this fine favourite by specimen media casting . Casting for this model was hard ,until I found a champion .Stacey Boyce . 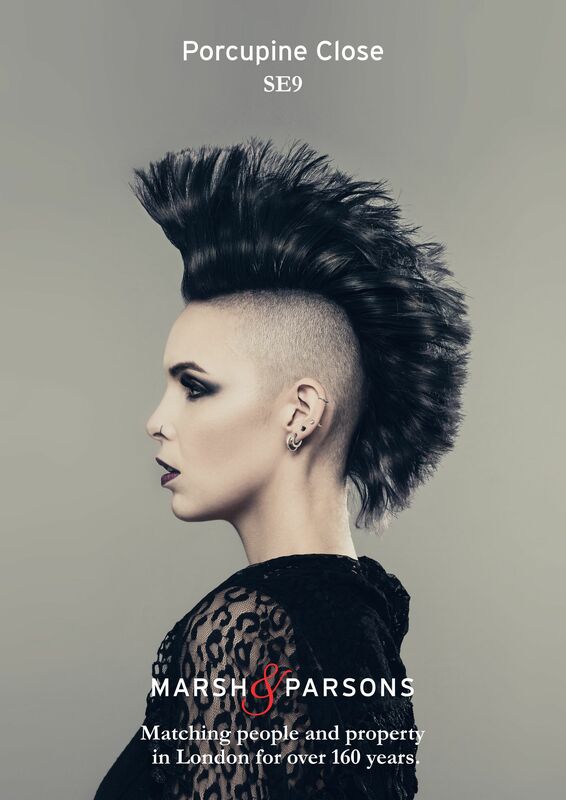 Fashion photography style for the Client:Marsh & Parsons Agency:The Table .The image was featured as cross track poster to social media . Portrait part of the 25th Anniversary campaign ,shot in London,Leamington Spa and Warwick for Links of London . Agency -TonyG ,Creative AD -Tony G.Location was a Chelsea property just of the Kings Road . Still life on Location - required a lot of soft boxes and reflectors - Silver is always difficult and so I effectively created a studio on location this is technically challenging but rewarding and is convincing as a product shot in situ . London location with refection in situ ,the dog was photographed in a Leamington park and photo comped in . LINKS of LONDON -Lifestyle photography in hotels may require models and lighting as this image demonstrates - On location in Chelsea ,London SW3.Studio lighting and approach to create a natural look that compliments the jewellery and lifestyle image that was commissioned photography for LINKS of London. Stills to support World Remit -Video advertising campaign -'HEROS' shot for - Bravespark -production company . Campaign for World Remit ,a series of videos that were produced by Production Company BraveSpark ,London. Shot on location with international cast ,I provided production stills for multi media advertising campaign to launch this financial product .I have worked many times on set ,usually producing the photography for print and now across all media . Photography in Oxfordshire to encorage recyling ,an advertising cmapaign for WRAP ,providing councils with material to promote recycling . CGI and location photography . AoP portrait series selection - The man and background floor and wall were photographed in Lisbon ,the Vault door is in fact a small model shot in the studio ,lit to blend and put together in photoshop. This 02 Campaign for AIS ,shot in New Zealand ,with Searchparty productions . Art Director -Spencer White .North Island a multi part composite photo completed in London . 9 part comp ,shot in one day as the monsoon stopped 5 days photography . Concorde Watches advertising campaign photographed in Oman & Bahrain ,two part comp . AD -David Jeffery . John Harvey -AlpsHigh Tea - shot on location on 5x4 .Advertising photography is making creatives ideas into images that communicate .This image took 5 days to finish as the alpine platform was shrouded in fog for four days . This image was shot in one ,with little retouching ,now digital techniques would possibly use many elements and CGI . 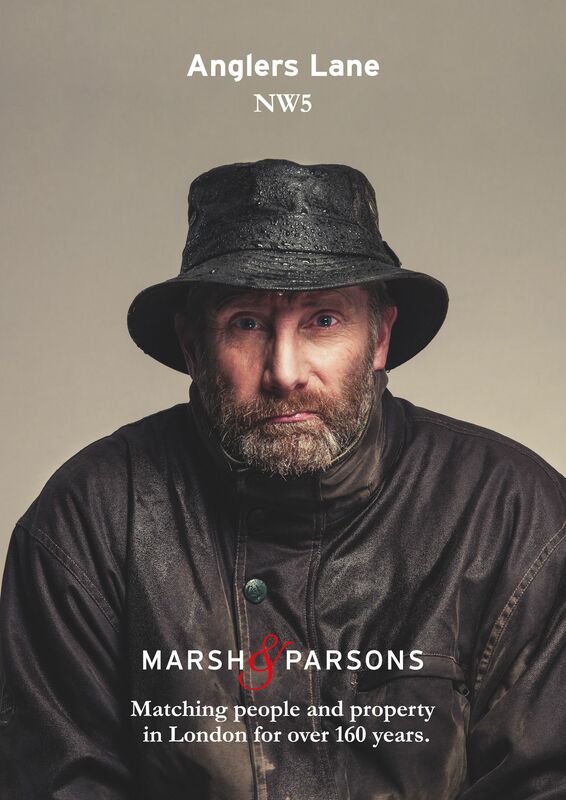 As an advertising photographer I was delighted to be commissioned to photograph the campaign for London Estate agents Marsh & Parsons .The commission started in 2014 with a small series of portraits such as this -Portrait of lady with hat taken at my Stratford on Avon Studio although using a London based model . OTT makeup to show the suntan off . Photographed in the Stratford on Avon studio in mid December -great make Up artist made it happen . Never work with children and animals ! Maybe a good guideline but a brief has a baby and is a great commuication ,I am happy to meet the challenge .An Advertising photographers job is to solve the problem . Europe & Africa wide B2B logistics campaign photography in Cape Town - Dubai & London. Best in Category Advertising photography -Association of Photographer awards 2017 - images for advertising can be wonderfully challenging - realising a concept and hopefully adding more is what I enjoy. Working with great creatives to produce Advertising that works. Never work with children & animals ? 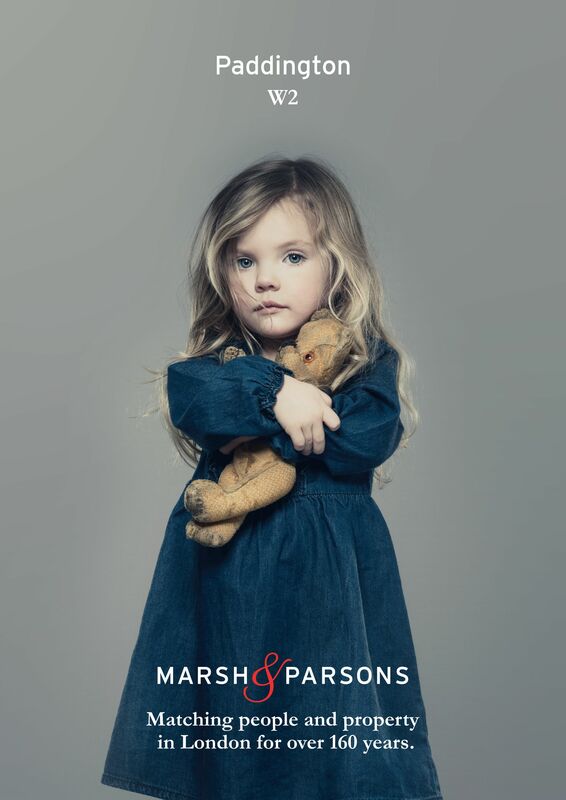 However when you have such a beautiful & well behaved baby I am happy to photograph an advertising image. A Nordic looking character was the brief & I was lucky to find this guy. Casting for characters is a major part of the process & all the hours taken pay off when the client says 'perfect'. A difficult one to cast - there are many 'BIG' guys available often playing'heavies' ,but the brief wanted a less threatening character & I remember this gentleman from a recent commission for a garden design company where this guy was working - just needed to pursued him. Wapping Result. Crying for a photograph is not easy,especially when the subject is such a happy guy. A little help from a great MUA & an onion. Tricks of the trade? Advertising and media photographer working for agencies and direct clients across many services,trades and products.